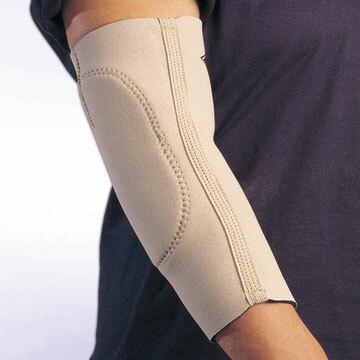 This form-fitting elbow sleeve features a shock –absorbing pad enclosed in a pocket on the inside of the sleeve eliminating and outer edges that might catch or fray on rough surfaces. Lined with nylon, (N2) it is easy to get on and off. 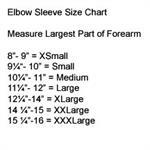 Provides excellent protection for the elbow and forearm, especially on artificial turf or wrestling mats. 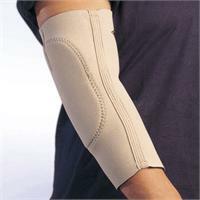 Available in beige or black, N2 material only.